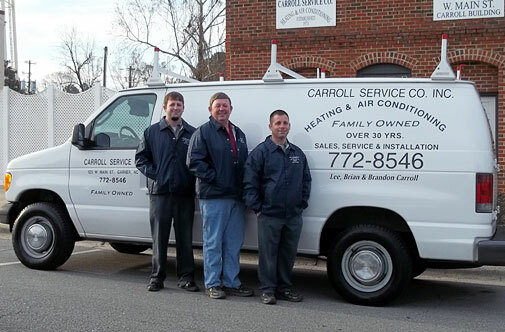 Carroll Service Company, Inc. has been serving the Garner community and surrounding towns and cities for over three decades! You can rely on us for all of your HVAC needs, whether you need a service check or a complete system replacement. Our family owned company will always be there for you during extreme weather conditions to make sure your home is always comfortable for your family. We are a Prequalified Duke Energy Contractor and participate with many of the industry's top brands to provide you the most efficient system for your home. "After nearly 20 years of flawless service from Lee Carroll installed heating and air conditioning equipment, it was time to replace the systems (4) with new and efficient components. Naturally we turned to Lee and his company and again we're rewarded with competitive pricing, on time installation and to date significant decreases in both electrical and natural gas costs. We are delighted with the performance of the new systems and noticed a real difference in comfort during the summer, fall and winter seasons. "